Park Road Cottages, officially Nos 1 and 2 Park Road, were a long, two-storey stone-built range that were originally outbuildings to Old Sarum House. The 1846 Tithe Apportionment noted that the cottages were owned by John Ryall Mayo. 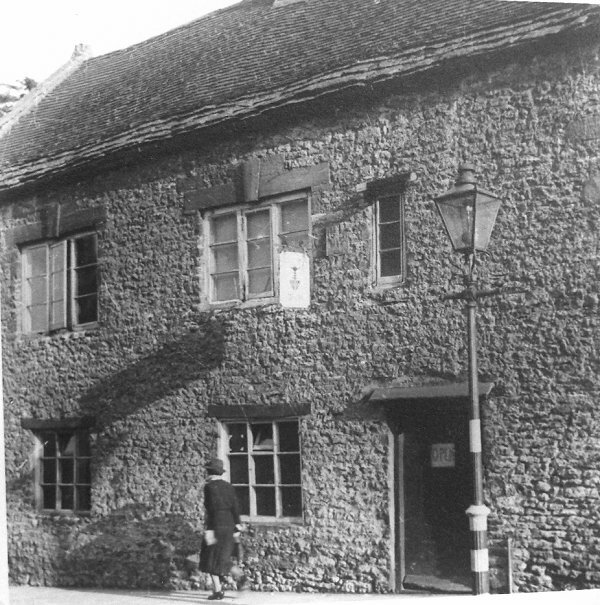 The window and door openings onto the street were probably later but the actual structures were seventeenth century. Facing the interior yard and on the gable end were stone mullioned windows with drip moulds. 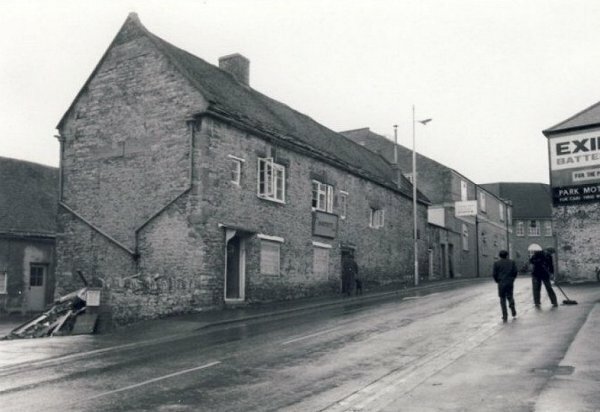 The cottages were Grade III Listed in the Yeovil Municipal Borough's Provisional List of Buildings of Architectural or Historic Interest. They were, however, demolished (I believe) in the 1980s. Park Road (the Beach would be just off-picture to the left). In the distance at right is Telford House, the former telephone exchange, on the corner of Clarence Street and at far right is Park Motors which was owned by Wilson's who also had a car showroom in Princes Street which is now occupied by Walter Wall Carpets. At centre are the cottages of the previous photograph.